You can now wake up clients from the Configuration Manager console, even if the client isn’t on the same subnet as the site server. If you need to do maintenance or query devices, you’re not limited by remote clients that are asleep. The site server uses the client notification channel to identify another client that’s awake on the same remote subnet. 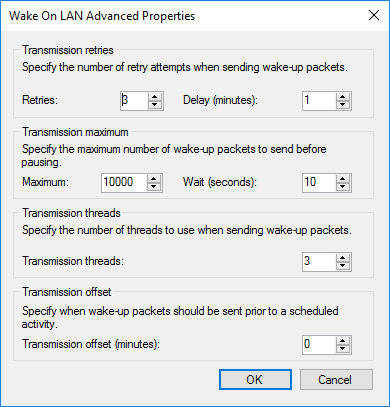 The awake client then sends a wake on LAN request (magic packet). What makes it exciting is that SCCM can now find another client on the same subnet and wake up its neighbour. We won’t describe in details how WoL works, but let’s say that it’s always been a challenge to implement it in a corporate environment mostly because magic packets are non-routable so it doesn’t work easily on remote subnets. We fired up our lab environment and had to try it to see if it comes up to our expectation. 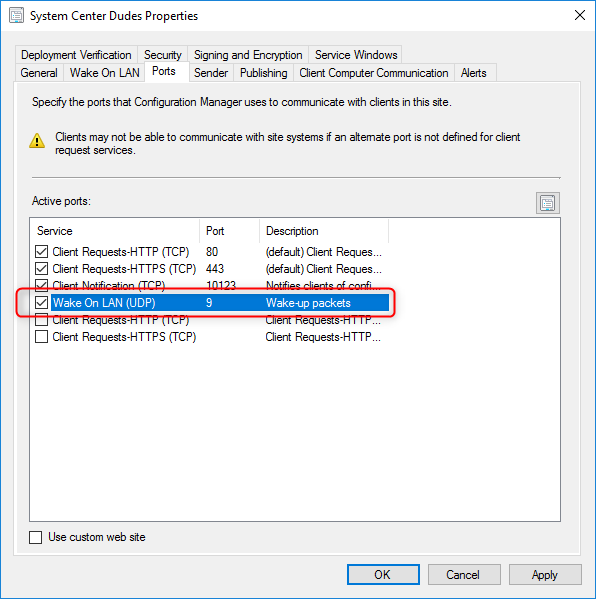 The blog post will show in details how to enable SCCM 1810 Wake on LAN using Client Notification. First, you need to make sure that Wake on LAN is enabled in the BIOS of your client computer. 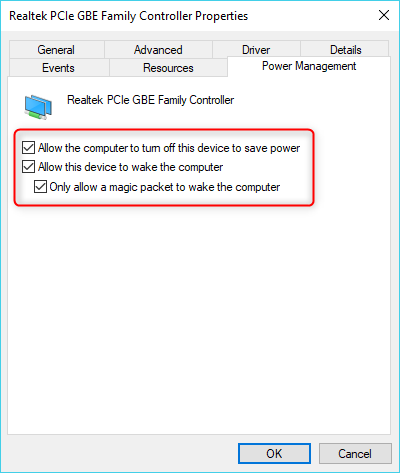 Now that our clients are ready to receive Wake on LAN magic packet, we will enable the option in SCCM. You must be running SCCM 1810 or later. Still in the Site Properties, select the Ports tab. 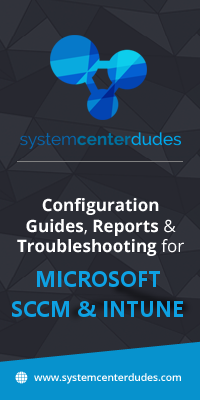 By default, SCCM uses port 9. To increase security, you can select another port for the site. Just make sure that this port is supported by routers and firewalls. We are now ready to test the feature on a computer. You need to have at least 1 online computer on the same subnet than the offline computer. 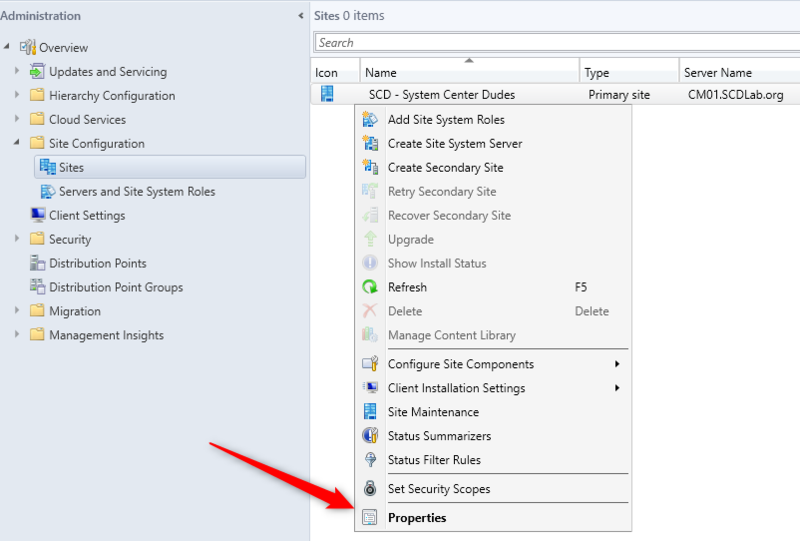 SCCM will use Client notification on the online computer to send magic packet to the offline computer. If SCCM doesn’t find another device on the same subnet to send its wake up packet, you’ll get the following message. 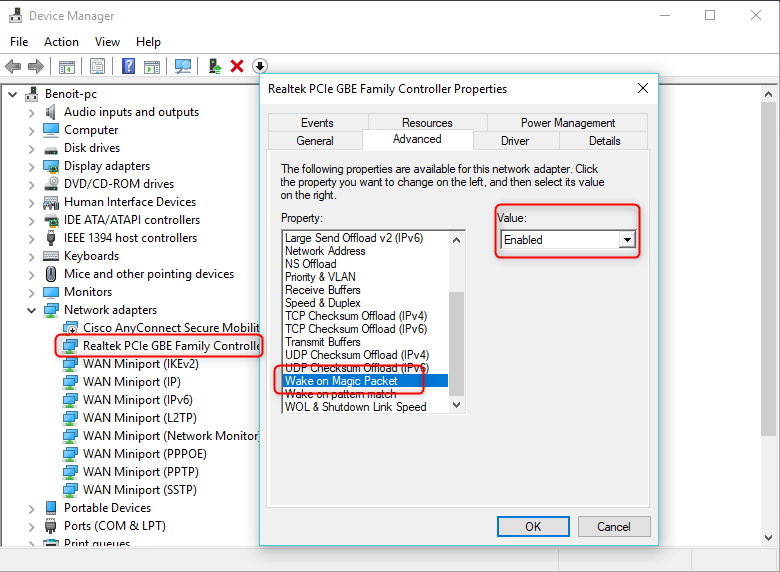 I have recently upgraded SCCM from 1806 to 1810 and followed your guide to enable Wake on LAN. 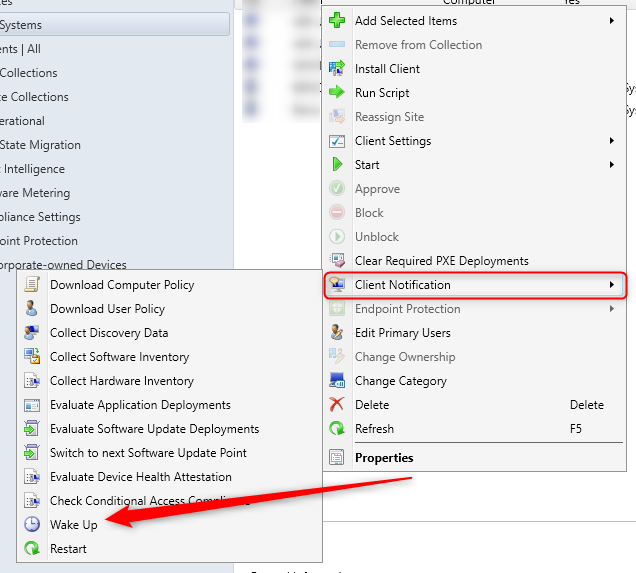 When I right click a device with the 1810 client version on the “Wake Up” option is greyed out? Do I need to cinfigure Firewall on client side to use this fancy technology?